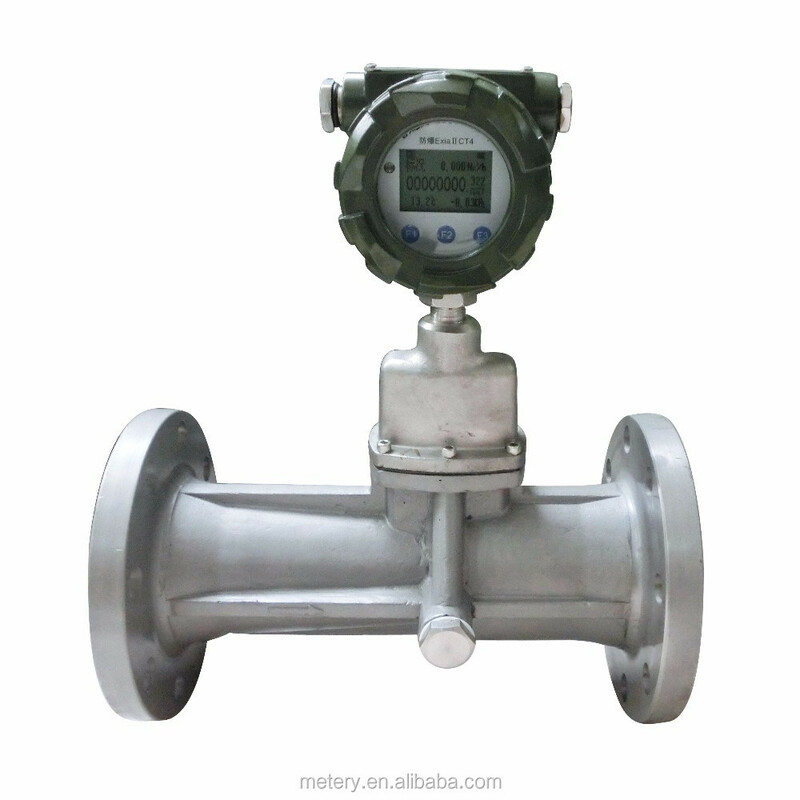 Intelligent Swirl flow meter developed by our company is a new flow instrument at the leading level in our country. This instrument has a combined function of flow capacity, temperature and pressure measuring. 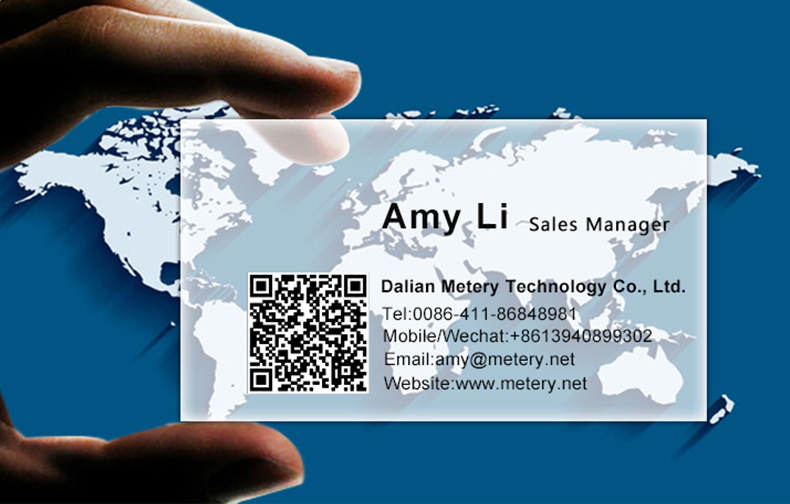 It can also conduct auto compensation of temperature, pressure and compressibility factor. 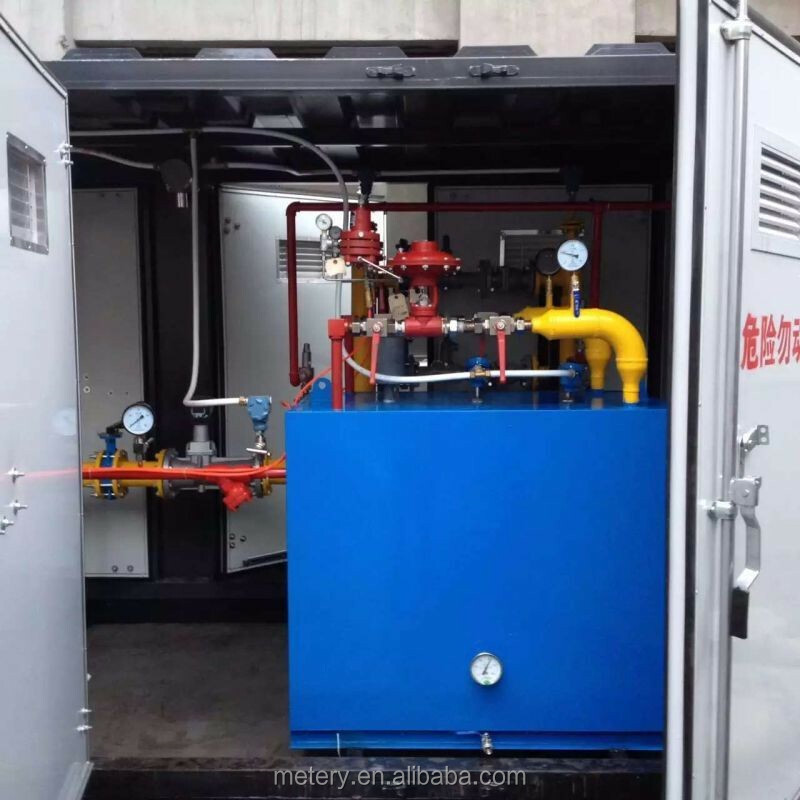 It is an ideal gas dosing instrument for petroleum, chemical, electricity and metallurgic industries. l The instrument has no mechanical moving parts, and is incorruptible, stable and reliable. It has a long service-life and requires no special maintenance even after long-time operation. l It adopts 16 Digit Microcomputer chip with high integration, small volume, good performance and excellent overall functions. l The intelligent flow meter has a combination of flow measuring probe, microprocessor, pressure pickup and temperature pickup and adopts internal structuring to make a firm structure. 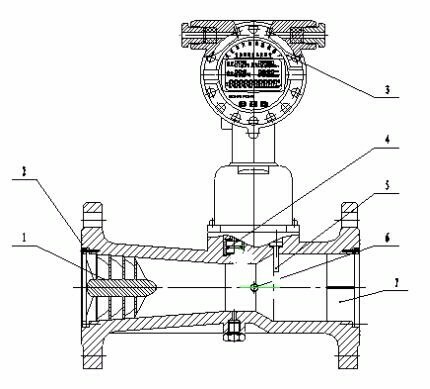 It can directly measure flow capacity, pressure and temperature of the fluid and conduct synchronized compensation and compressibility factor revision. l It adopts dual detect technique to effectively increase detecting signal intensity and reduce obstruction caused by pipeline vibration. l It adopts national leading vibration-proof techniques to effectively suppress vibration and undesired signal caused by pressure oscillation. l It adopts dot matrix display screen of Chinese character to display more significant digits to be Convenient and intuitively read and can directly display flow volume while in operating condition, flow volume, total volume, medium pressure, temperature and such parameters of standard condition. l It adopts EEPROM technique to make parameter setting more convenient and can be permanently stored. Historical data as long as a year before can be also stored. l The Converter can deliver frequency pulse, 4~20mA analog signals and has RS485 interface which makes it directly conduct network interconnection with computers and makes delivery distance as long as 1.2km. l With signal transfer output of several physical parameters, users can choose any of them. 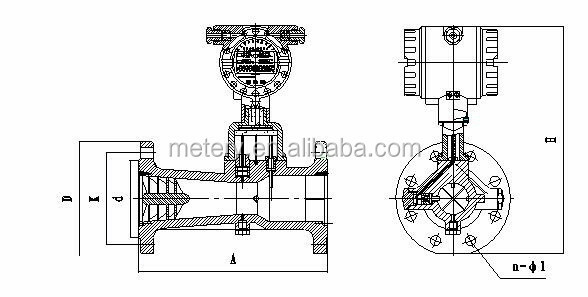 l Gauge head of the flow meter can rotate by 360 degree; it makes application and installation more convenient. 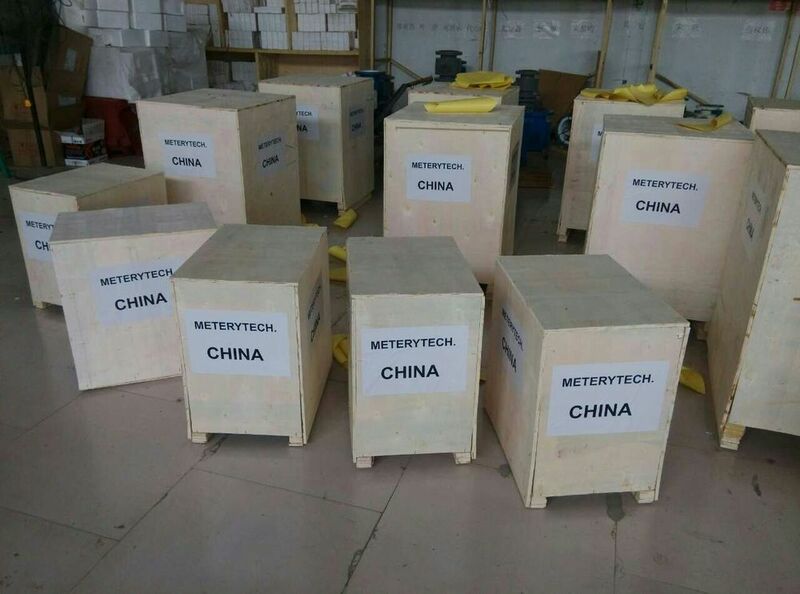 l It is equipped with data acquisition unit of our company; therefore, data can be distantly delivered by internet or telephone network. l Pressure and temperature signal are transducer input mode with strong interchangeability. l The whole machine has low power consumption; power can be supplied both by battery and external power source. 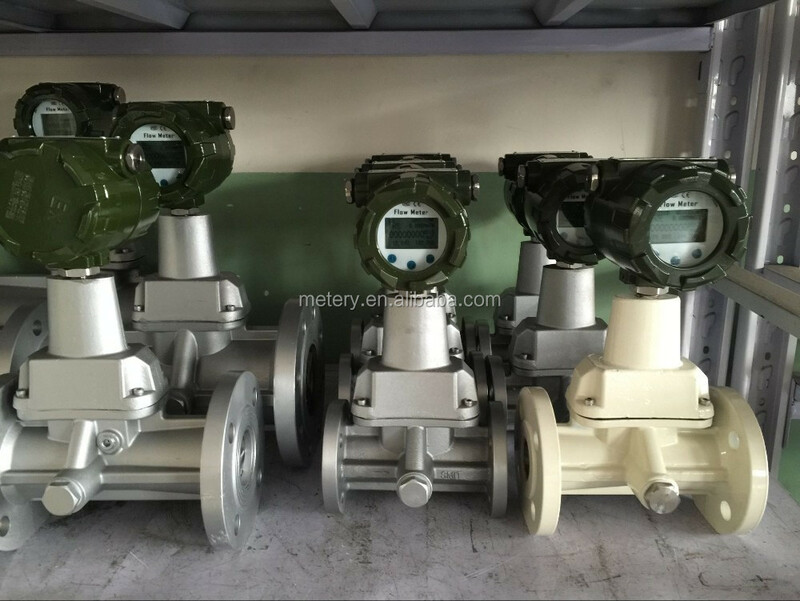 Intelligent Swirl flow meter is widely used in measuring various gas flow rate in petroleum, chemical, electricity and metallurgic industries and city gas supply. It is made of aluminum alloy with a certain angle of helical blade, and is fixed at the front part of shell constriction. It forces the fluid to form strong eddy. 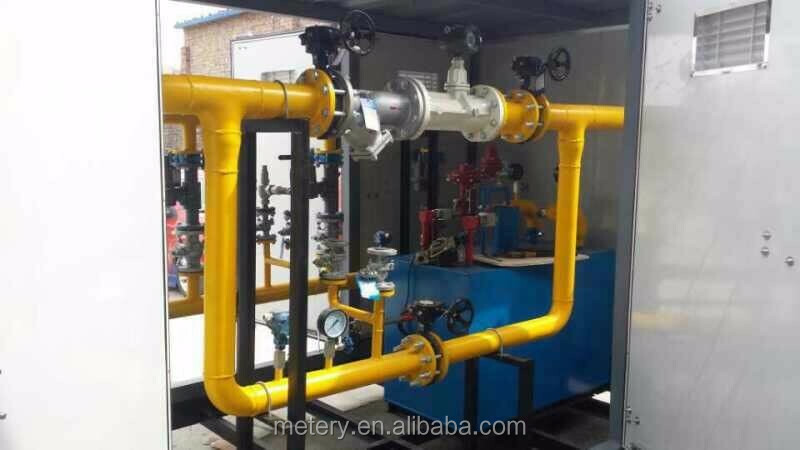 Integrating instrument is composed by temperature, pressure testing analog channel, digital channel of flow rate measuring and micro processing unit, LCD driver circuit and other support circuit, and is equipped with output signal interface. 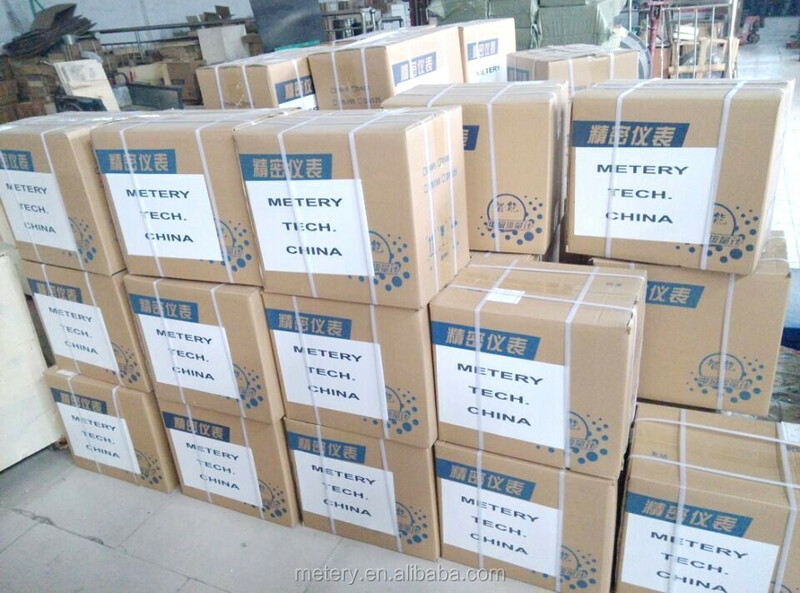 With Pt100 platinum resistor as its sense organ, and with a certain range of temperature, resistance quantity shares correspondence relation with the temperature. With Piezoresistive diffused silicon connection circuit as its sense organ, its bridge arm resistance will make contemplated change under outer pressure, so under effect of certain energizing current, potential difference at both output terminal share a direct proportion with outer pressure. It is installed at the laryngeal part of the dilating section of the shell and can detect frequency signal of eddy movement. It is fixed at exit section of the shell to reduce whirling current and thus reduce compact on the performance of instruments of lower reaches. 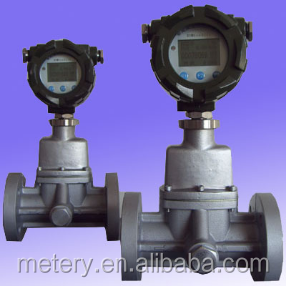 A flowmeter is an instrument used to measure linear, nonlinear, mass or volumetric flow rate of a liquid or a gas.